Nike Inc.’s organizational structure reflects the abilities and limits of the business in its operations. A company’s organizational or corporate structure is the composition and system design applied on the interconnections among employees, groups, and divisions of the business. In Nike’s case, the corporate structure highlights the need to address differences among regional markets. These differences are linked to region-specific demands of target customers, such as variations in the preferences for apparel based on sports popularity and climate. 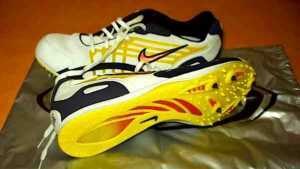 As such, Nike Inc. has developed its organizational structure to enable adjustments in dealing with market differences. As one of the leading players in the athletic footwear, apparel and equipment industry, the company and its corporate structure serve as an example of how regional variations must be included in business strategies. Structural and strategic alignment that considers these variations reinforces Nike’s competitive advantages, especially in penetrating regional markets. Nike Inc. has an organizational structure that facilitates regionalization of business strategies. Such regionalization promotes value chains that specifically fulfill customers’ expectations, especially in the area of service and marketing. The characteristics of its corporate structure provide Nike with flexibility to address consumer preferences for athletic shoes, apparel and equipment in regional markets. This flexibility is especially notable in how the company markets its products through company-owned NikeTown stores. This structural support, together with Nike’s organizational culture, helps the company in combating the financial and business developmental effects of competitors, such as Adidas, ASICS, Puma, and Under Armour. In relation, the organizational structure supports initiatives and strategies contained in Nike’s marketing mix or 4P. Office of the President & CEO, Nike, Inc. Global Divisions for Converse and Brand Licensing. Nike’s organizational structure also has two global divisions: one for the Converse brand and another for brand licensing. One global division is responsible for managing the worldwide operations of Converse, which is another footwear brand and subsidiary of Nike Inc. Another global division is responsible for licensing the Nike brand. This characteristic of the corporate structure offers control for brand licensing and the operations of Converse. Nike Inc.’s organizational structure’s characteristics support growth and stability. Global corporate leadership has the advantage of facilitating control on the entire organization. The advantage of the semi-autonomous regional (geographic) divisions is flexibility in satisfying regional market-specific consumer preferences for Nike’s athletic shoes, apparel and equipment. However, a disadvantage of Nike’s organizational structure is the limited approach to managing the operations of Converse. Liao, C., Chuang, S. H., & To, P. L. (2011). How knowledge management mediates the relationship between environment and organizational structure. Journal of Business Research, 64(7), 728-736. Love, J. H., Ashcroft, B., & Dunlop, S. (1996). Corporate structure, ownership and the likelihood of innovation. Applied Economics, 28(6), 737-746. Markides, C. C., & Williamson, P. J. (1996). Corporate diversification and organizational structure: A resource-based view. Academy of Management Journal, 39(2), 340-367. Martin, R., Muuls, M., de Preux, L. B., & Wagner, U. J. (2012). Anatomy of a paradox: Management practices, organizational structure and energy efficiency. Journal of Environmental Economics and Management, 63(2), 208-223. Tang, F., Mu, J., & MacLachlan, D. L. (2010). Disseminative capacity, organizational structure and knowledge transfer. Expert Systems with Applications, 37(2), 1586-1593.